RUSH: President Trump — doing show prep all of a sudden there’s a siren and gigantic red font size at the Drudge Report, “Major shock, Trump announcement.” I said, “What’s this?” I said, “Oh, no. What the hell can this be?” So I patiently waited like everybody else. And I found out that the announcement was that Trump has announced, did announce that he’s going to run for president again in 2020, and has named his campaign manager. And his campaign manager is the guy who ran his Facebook and social media campaign, if you will, during the 2016 race. This guy’s gonna run the whole thing. So a big flashing siren on Drudge, giant red font size. There is a tactical reason that Trump does everything. The earliest announcement, official announcement I can ever recall, like Obama announced 500 days out that he was gonna run. Trump is announcing 800 days, something like that. Now, what might be going on out there that would inspire the Trumpster to give a thumb in the eye to people? Well, let’s look. The Democrats think they’re gonna win the House this year. They’re already banking on it. And when they win the House, they’re gonna impeach Trump. They think that’s already done. It’s just a matter of letting the calendar days go by. So in their minds, Trump will be impeached because the Democrats are gonna win back the House. How are they gonna win back the House? They’re gonna win back the House by opposing tax cuts, by opposing a rapidly expanding and growing economy. And they’re gonna win back the House on the sheer magnitude of Trump hatred they project. That’s surely a winning combination. There is also within the Republican Party and the narrow Never Trumper movement, there are probably some Republicans thinking that they’re gonna run against Trump for the Republican nomination in 2020. We didn’t get a chance to mention this yesterday, but John Kasich, a former conservative and now the governor of Ohio, has predicted the end of the two-party system in not too long a time. The two-party system isn’t serving the country, it’s old and antiquated, and there are too many young people out there that don’t like either party and are gonna form their own party. And the 17-year-old guy from the high school is probably gonna be the presidential nominee of the new party. Kasich didn’t say that. I’m just having a little fun here. RUSH: I just think that… What else is going on out there with Trump? Okay. So you maybe have some Never Trumpers thinking you’re campaigning against him. You have John Kasich out there saying the Republican Party, Democrat Party don’t know it yet, but they’re done. They’re toast. Two-party system is toast. But then there’s also the Mueller gang! The Mueller gang that’s out there! And the Mueller gang is not gonna quit until they find something that they can nail Trump with! I am reliably told that Mueller has not given up on the whole collusion angle. The conventional wisdom is that there isn’t any evidence that Trump colluded with Russia, and so Mueller has moved on now to try to prove obstruction of justice, that Trump has stood in the way of justice being done in the United States. 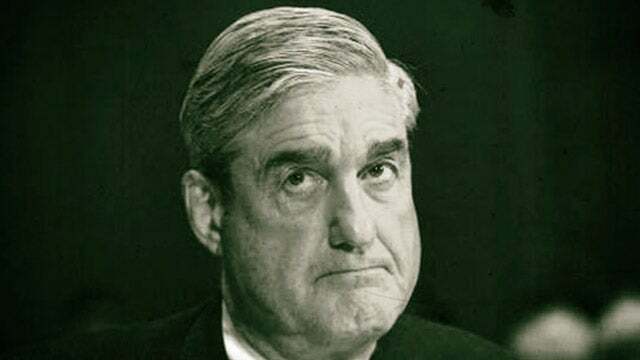 But the intel that I have from deep state sources tells me that Mueller has not given up the collusion angle. That Mueller’s not given up any angle. So if you’re Trump and you got the Mueller gang out there and you’ve got the Democrats thinking that they have already rendered you politically homeless by the end of this year, what can you do? You can thumb ’em in the eye by telling everybody you’re running again. “None of what is happening right now has the least bit effect on me,” he says. “You think you can slow me down? You think you can sidetrack me? You think you can take me off my objectives? Fat chance. I’m so committed, I’m gonna announce today that I’m running again in 2020.” We’ll see. But there has to be a tactical reason for this.